Login to your account and go to https://www.payasugym.com/refer-a-friend to find your referral links. Send out the discounted pass by email, social media or manual sharing. Once they’ve redeemed their discounted pass you’ll get your bonus credit. Get hold of your discounted pass either by email, social media or social sharing by your existing member pal. This will generate you a discounted pass. Simply redeem this pass at your nearest gym, you’ll get your bonus credit afterwards. 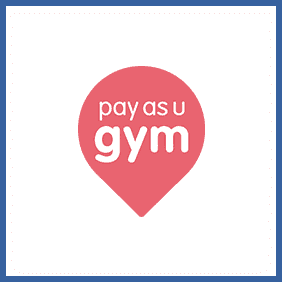 PayAsUGo gym members can send new prospective customers a discounted pass for their closest gym. Redeem this pass and you’ll get £10 credit towards your next payment – as will your newly hench friend.